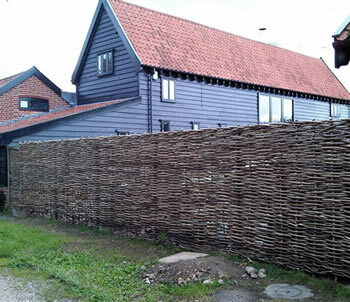 I have been crafting various coppice products, specialising in woven hazel wattle hurdles and continuous woven hazel fencing, in Suffolk since 1998. Hurdle fencing makes a very attractive natural fence or screen for your garden and is very durable and resilient to the wind. 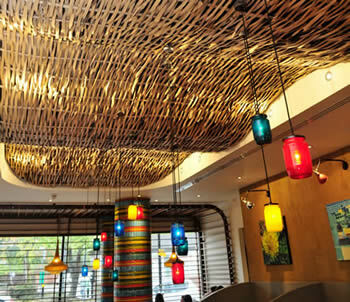 They can also be used for decorative interior ceiling and wall finishes. I also undertake many aspects of hedgerow management including hedge laying, and supply coppiced material for several uses including riverbank restoration. To ensure quality of materials I coppice the hazel myself, with full cooperation of the landowner, from woodlands locally in Suffolk, and also in Hampshire. Coppicing is the ultimate in sustainability, if done carefully the stumps (stools) will regenerate providing many rods which can be harvested again in seven or eight years. Due to the various stages of growth, coppiced woodland provides a variety of habitats for both flora and fauna. 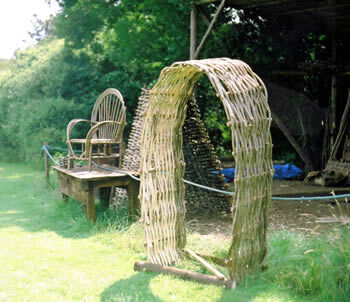 Typically, willow hurdles are constructed from thin strips of willow wood, giving a smooth overall finish. 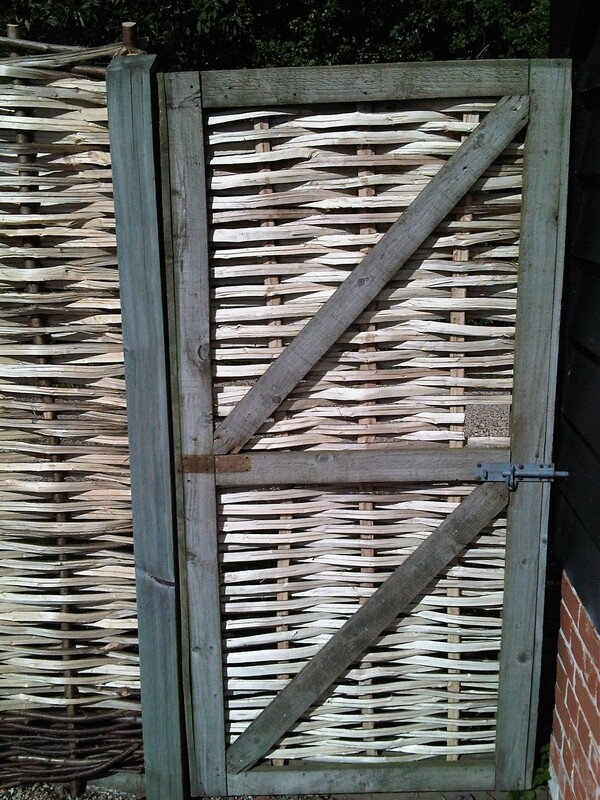 In comparison, hazel hurdles are made with thicker strips, giving a more textured, rustic look.